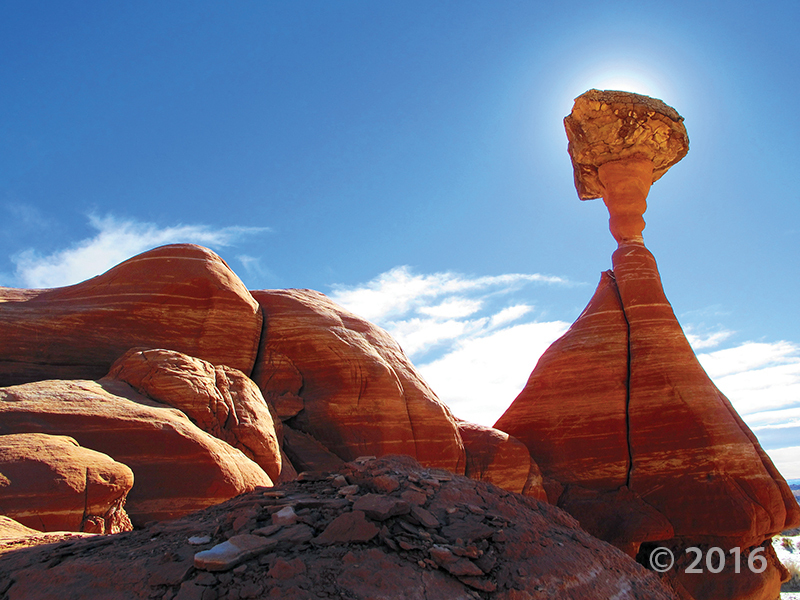 A hard cap rock protects the softer underlying pedestal and neck of this hoodoo in the Jurassic-age Entrada Sandstone, in the Toadstools area of Grand Staircase–Escalante National Monument, Kane County. Flooding caused major damage to several homes, as well as a city park, a swimming pool and a baseball field Wednesday afternoon, police reported. 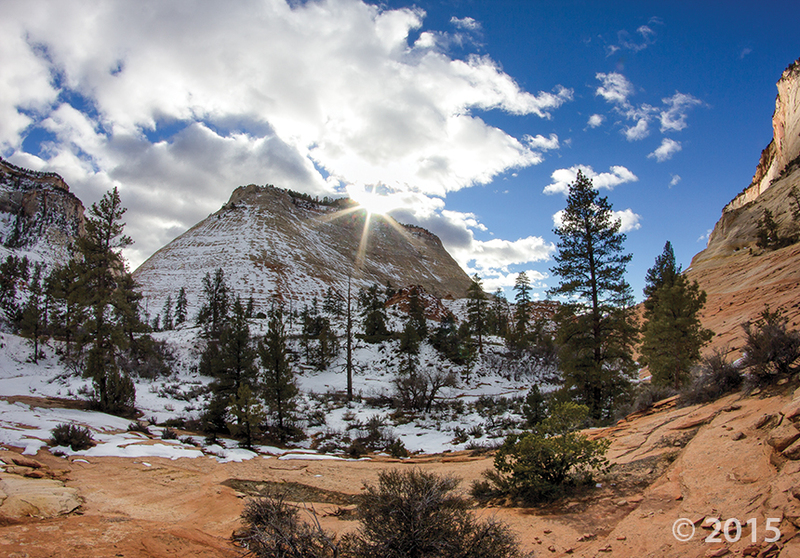 The mornings are becoming a little crisper, and night comes a little quicker. It won’t belong before we see this scene! 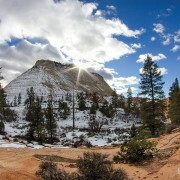 Snow highlights cross-bedding on the sides of buttes and mesas along the Clear Creek drainage on the east side of Zion National Park. 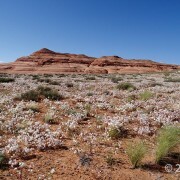 Cross-beds in the nearly 2,000-foot-thick Jurassic-age Navajo Sandstone formed in ancient sand dunes and reflect changing wind directions as the sand was being deposited. 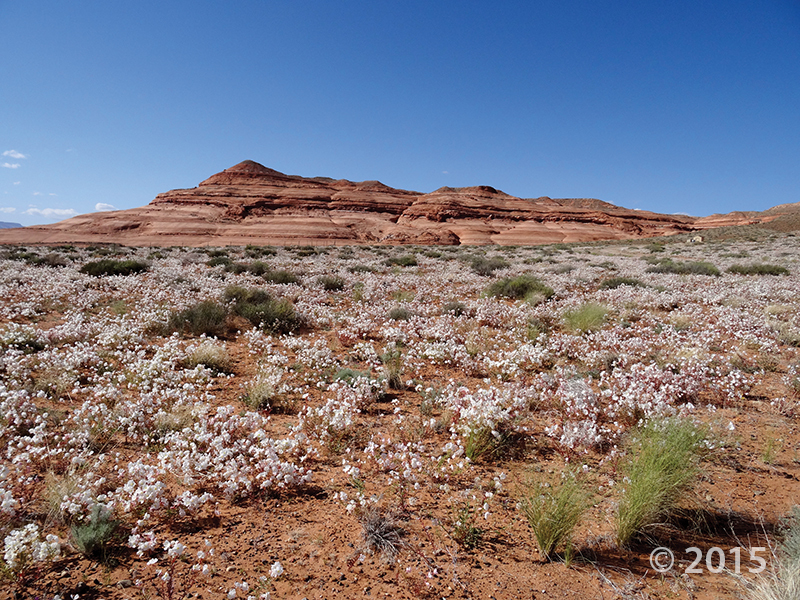 Not only does Utah’s geology make for stunning landscapes, the textures are pretty great too! 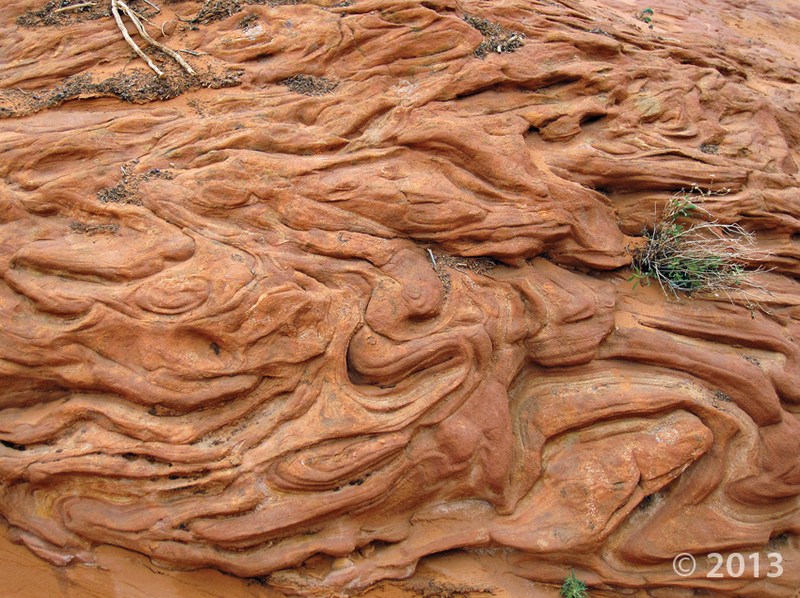 Liquefaction features in Navajo Sandstone, Paria Plateau, Kane County. 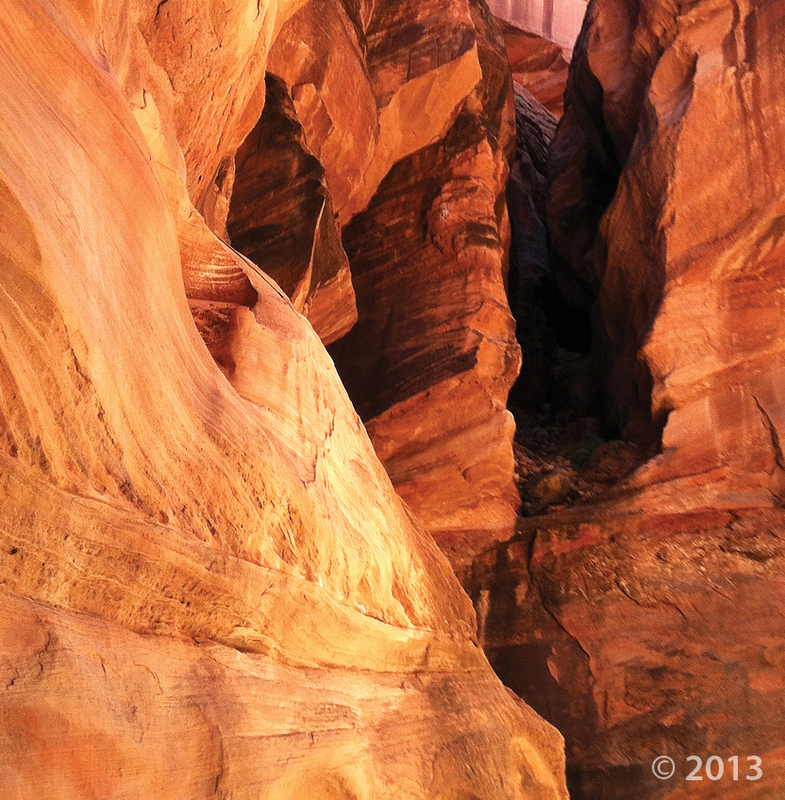 Canyon walls of Buckskin Gulch, Kane County. 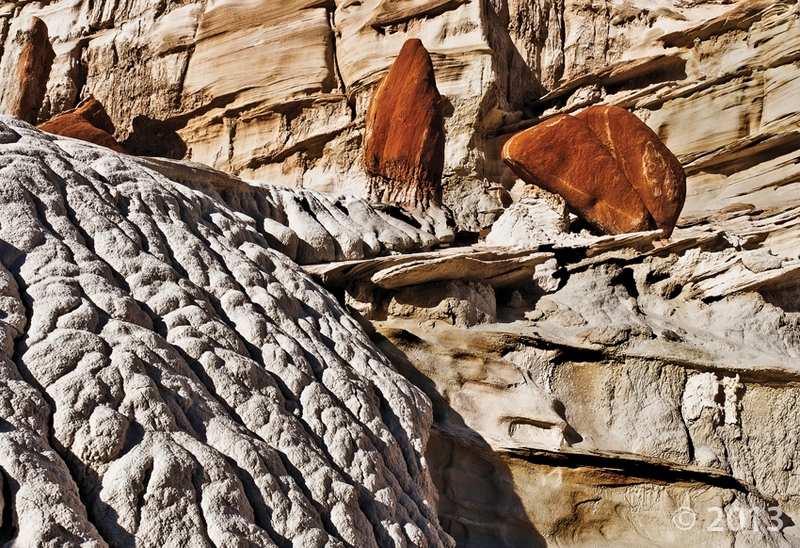 Boulders of Cretaceous-age Dakota Sandstone act as protective caps and inhibit erosion of the soft Jurassic-age Entrada Sandstone beneath, allowing hoodoo spires to form. 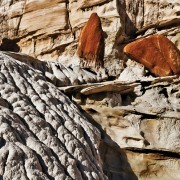 Water cascading over the Entrada Sandstone during rainstorms has carved an intricate network of rills. 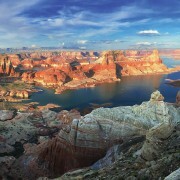 Here’s a rockin’ scenic view to jump start another weekend! 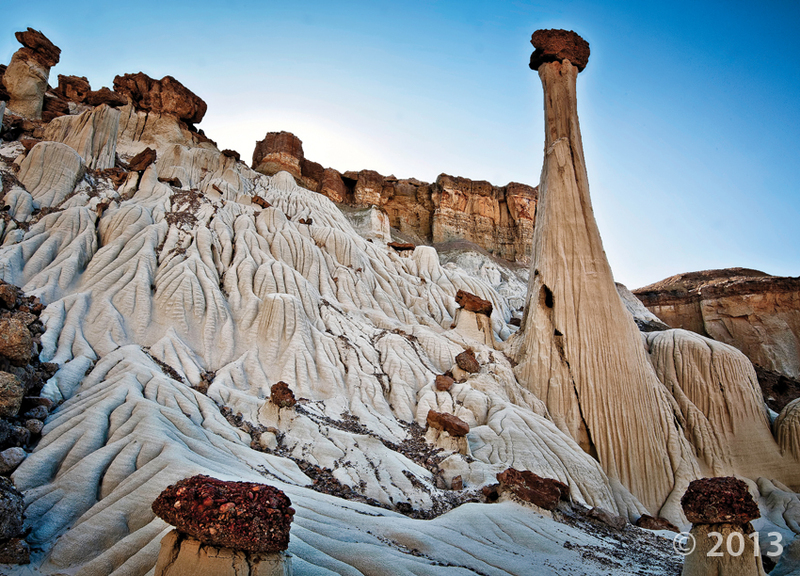 Spire-like formations called “toadstools” form where resistant sandstone boulders of Cretaceous-age Dakota Formation (toadstool caps) protect the underlying, softer, Jurassic-age Entrada Sandstone (toadstool stems) from erosion. 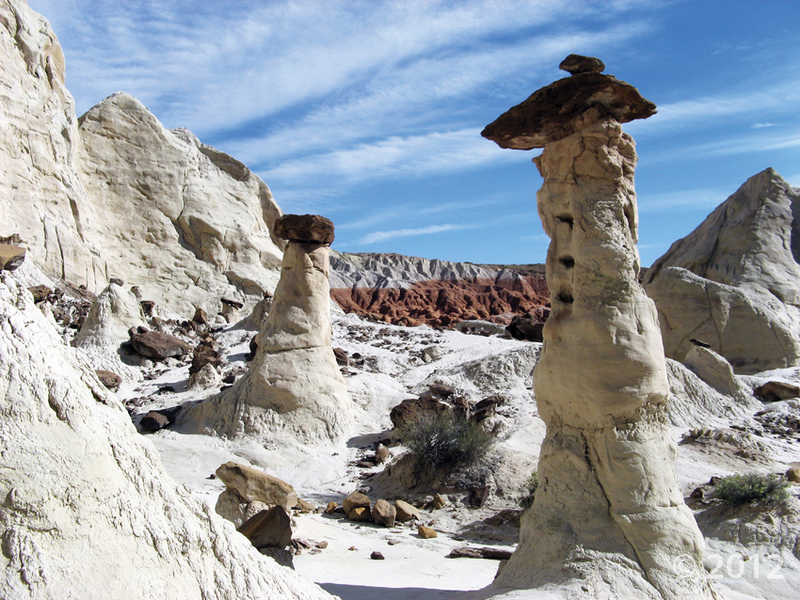 Beneath their protective caps, the spires stand tall above the surrounding eroded landscape.